The VS Gaming Championship is the largest competitive LAN in South Africa. Taking place at the first ever Comic Con Africa event, from 14 - 16 September. This annual championship event is the culmination of the regular VS Gaming League competitive season. The VS Championship accommodates the best Players and Teams from around the country across nine different video game titles. Grand Finals Best of Five (Bo5). 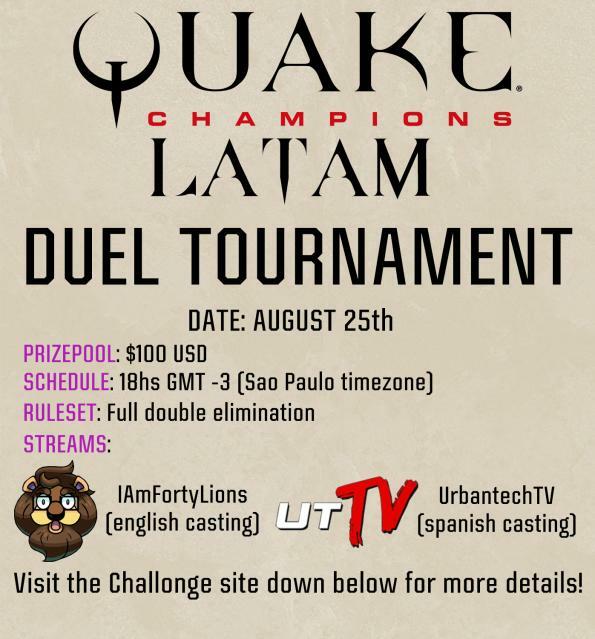 After a while, the community from south america has decided to make a new duel tournament, that we will bring you this august 25, quick tourney with double eliminations. 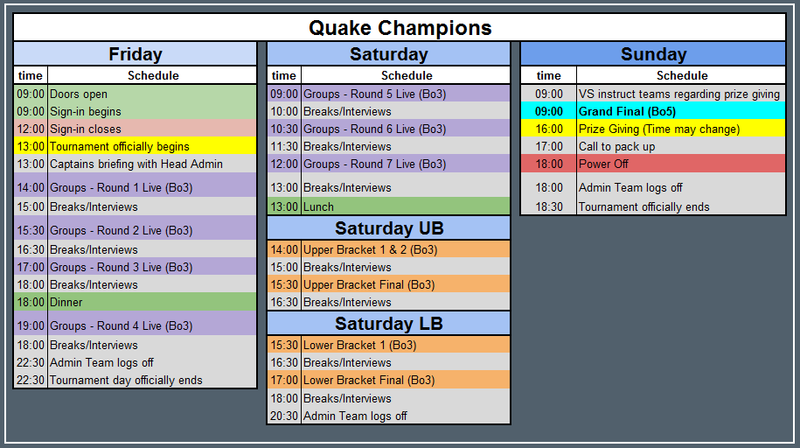 The old and newcomers will face each other and is brought you by our two streamers, fortylions who will bring us a english commentary, and by Dazer, who is the one in charge for our spanish quake fellas. Join us and have fun this August 25. The ban system will work by players selecting to ban a champion for their opponent e.g. if you ban Clutch for your opponent, you can still pick it unless your opponent bans it for you. Champion bans will be reset before every map.